Certain projects at commercial worksites and industrial locations require a large amount of training in order to complete. However, even the most skilled technician cannot stop some projects from producing a given amount of hazards. Welding is a very common trade that requires highly-trained technicians. However there are numerous dangers are present including heat, sparks, and debris. Technicians can isolate themselves when performing these tasks, but this can slow productivity when multiple tools or quick results are required. 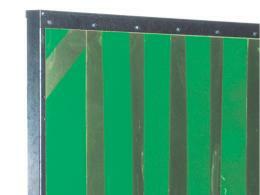 The Opaque Green Welding PVC Screen provides a way to protect welding projects without slowing down output. What is The Purpose of The Opaque Green Welding PVC Screen? This welding screen provides a way to protect the location near work areas from sparks, heat, debris, and other common hazards associated with welding. While some companies will have specific areas dedicated to welding to protect against these hazards, this can slow productivity. Sometimes a part may need to be welded quickly or multiple tools and components may be needed to be welded at once. This curtain can boost productivity without sacrificing on safety. This product can prove useful at any location where welding is used on a constant basis. Welding can be done at any location and the area and crew members nearby can remain safe from the hazards associate with this trade. The product is also great for trade schools where welding is taught. This product can prove useful to anyone who welds and wants to protect those people and areas nearby. 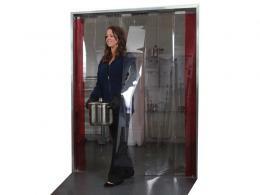 This product can allow a welder to safely acclimate to any work area or industrial site. This curtain can help the tradesman focus on their work completely while knowing that those nearby will be safe. With a galvinised steel frame and self-extinguishing PVC strips, this unit is designed to make any welding job safer. 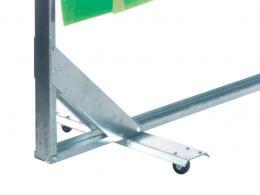 Four castors make the unit easy to move from spot to spot, and it is easy to assemble onsite. 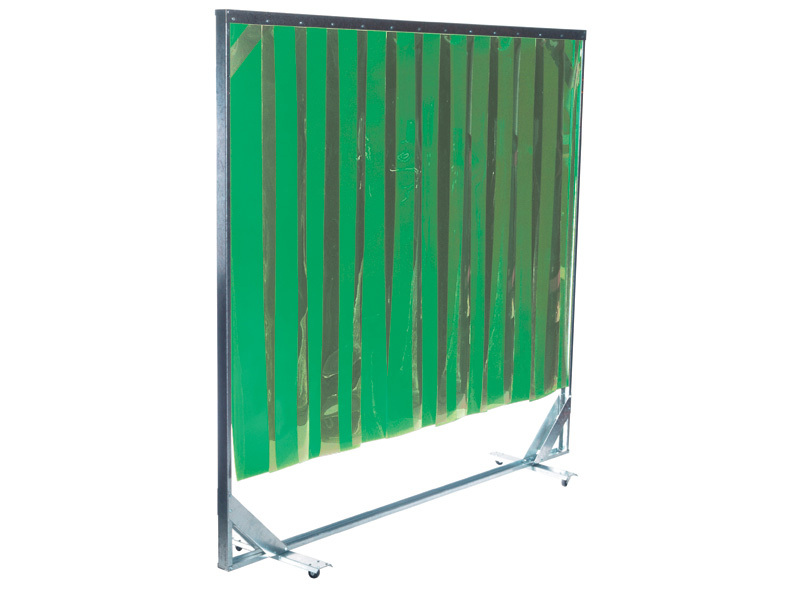 Improve your welding site today with the opaque green welding PVC screen!